Maddie burnt her snooouuuuuuuuuut! Maddie burnt her snooouuuuuuuuut! Louie knows better than to stick his snout into a hot frying pan! 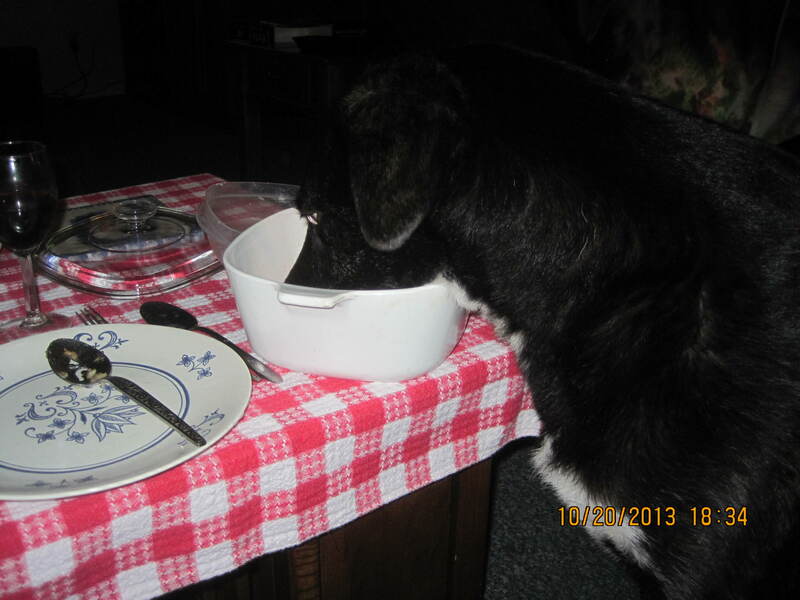 Mom was cookin’ some yummy meat sauce this afternoon, but Maddie, the greedy glutton, couldn’t wait until dinner time. Mom turned her back for ONE MINUTE to chop up some foliage from the herb garden and Maddie just HAD to jump up on the stove and shove her nose into the frying pan. Maddie yelped! And I don’t feel the least bit sorry for her. Even dumb ol’ Louie knows to keep his snout outta hot frying pans! Bet Maddie’ll think twice before she tries that again! Vewy funny, Lou. Just fweakin’ hilawious.